Your 17 million acres of green imperfection swallowed my complacency whole. For seven days in June, it was just you and me — anyone else on our 25-passenger boat was there just as a floating passerby in their own silent catharsis. On my first morning with you, I climbed into a kayak with a fellow passenger, a hidden player of popular television take-over series, “Shark Week.” He offered to do all the paddling, just so I could photograph you and take you in. No one cared who they were back home. Those pretensions melted away in the quiet coves we slept in. What we were there for was looking forward. To build a relationship with you, not to focus on old baggage. For days we watched your inhabitant whales’ blows, fins and tales play with the surface of your silky smooth water. It was during the choppier times that we saw them for the first time truly dance, breaching in full-hearted devotion to the symphony of waves and wind that constitutes you. Your bears put on displays like never before, returning to the shore of the same beach back-to-back days as our 125-foot Mist Cove faced them, bow-on. They’d seen this boat before. They trusted our vessel to simply view them in their natural state, not trying to affect change on them. What power a respectful relationship like that can yield. We set foot on your lush forest floors and waded with Dolly Varden in the flow of your refreshing crystal waters. Powerful bald eagles passed time on branches no more than 15 feet above us, observing our fly-fishing techniques with minds open to learning from a new source. Strong glaciers fell apart, calving beautifully and vulnerably to our awe. Rainbows of color appeared in previously grey rocks. A pregnant fish was gently released back to her waters. She had too much to give the future beyond our immediate needs. Suddenly, our open-horizoned potential was taken over by aluminum, exhaust and hundreds of people as a 10-story cruise ship flashed by with a sample of the other types of relationships that could be had in the world. No doubt, we were drawing nearer to the port towns that symbolized the end of our time together. I landed back in Juneau almost shell-shocked in exposure to the regular behaviors of “civilization.” Merchants hung on sidewalks trying to lure me in to their gems, professing hollow odes just to get what they wanted from me. Why can’t every day life be as free as it is with you? You had to know our intentions to be there were for appreciating you genuinely. There’s simply no other explanation for the miraculous way you opened and displayed so much for us. Or maybe this is the way nature is waiting to be for us all, if it only remained untouched in the relationship, like the way we treated you. Don’t force the river, and the whale will breach. Without much forest knowledge, I’ve been doing some Googling and some math. If trees in your forest grow 20 feet apart in a row, and the rows are 12 feet apart, then there are 182 trees per acre. It’s estimated 9.9 million of your 16.8 acres are forested... that means your garden potentially holds... 1,801,800,000 trees. The Tongass National Forest is the world's largest temperate rainforest (intact). Located in southeast Alaska, the 16.8 million acre forest is roughly the size of West Virginia. For seven days in June 2018, as a passenger on The Boat Company's Mist Cove, I was immersed in this region and presented with a living, bonafide sample of how our species could have a positive relationship with a natural area. Since the forest's formal establishment in 1907, 400,000 acres have been harvested. 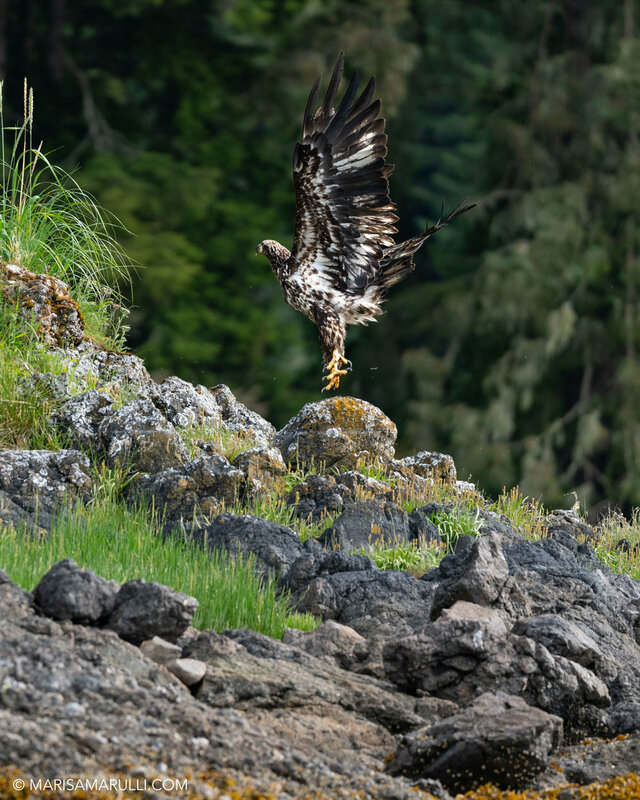 Today, elections continue to notion removing the laws that protect the Tongass. I urge you to step out of our past relationships with nature gone wrong, and to see the what's possible for us now, because sitting there, intact, pristine and almost totally unaffected, it’s not too far gone. Hope is right there, in the Tongass. 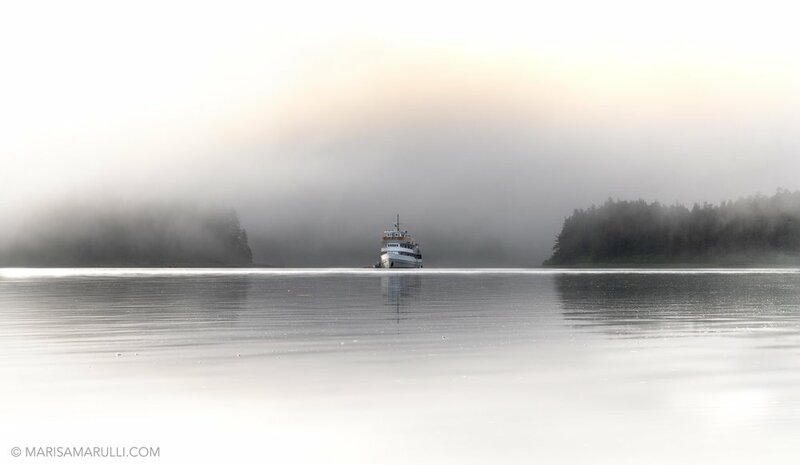 To journey with The Boat Company and learn more about their 40-year efforts to preserve The Tongass, please visit their website. Newer PostBeautiful Moon, Show Me Your Craters!